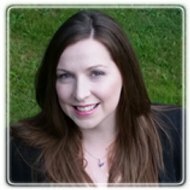 Miramichi Therapist: Pamela MacDonald - Therapist E1V 1Y7. After deciding at 15 that I wanted to become a Psychologist, I graduated with a bachelor of Arts (Honors) in Psychology from Brock University. My love for Psychology and counselling grew, and I knew I had chosen the right career. I then completed a Master's degree in Counselling at University of Calgary. Completing an internship, and then hired as a provisional Psychologist at S.A.E. Psychological Consulting in Calgary, I worked with individuals with addiction issues, depression, anxiety and related disorders, anger problems, low self-esteem, personality disorders, trauma, spiritual insecurity, career indecision, and other issues. I was trained to apply CBT as a primary approach, but also a variety of other forms of therapy including techniques from client-centred, solution-focused and existentialism. I am passionate about helping people by connecting, understanding, and offering my skills as a clinician to assist in the therapeutic journey you are taking. I care about people, and believe all people have equal value and a God given purpose. I believe there is a purpose in many of life's challenges as well, offering growth opportunities among other learning, skill building, relationship building and other possible beneficial opportunities in overcoming difficulties. I understand that it doesn't always seem that way, but I want to help you see the positives, learn from the negatives, grow in your psychological, emotional, and/or spiritual journey and live the life you want. I now have a private practice in Miramichi, N.B. I accept adult clients for ongoing therapy, or assessments, practicing therapy in an open, safe and accepting environment. All clients are treated with understanding and respect, and assisted on their journeys to healing and self-improvement. When you enter the office, you will first see the waiting room, where you can relax and make yourself comfortable while you wait. If it is your first session, you will find an intake form and informed consent form to read and fill in. At the designated meeting time, and when the previous client has left through a separate exit (so you do not have to worry about running into other clients) you will be greeted, offered a beverage, and begin a 50 minute session in the office meeting area. I have tried to create a space that is welcoming and calming to make you comfortable throughout your counselling journey. If you are interested in services, or have any questions, feel free to contact me by phone or e-mail, to discuss your options. I would be happy to help.